My name is Alexe Costea. I was born on October 25, 1981 in Alba Iulia where I grew up and spent 20 years of my life. God crossed my path and I asked him to become my Savior and Lord. I understood God's call to ministry and I got involved with my study group and they helped me fit in various activities. In church, in 2002, after several times I visited my brother, Raul Costa in Oltenia to work and I understood that God wants me here. On September 30, 2002 I moved in Oltenia to help Raul. In 2004 I had the grace to marry Veronica and together we were blessed with 4 children of God. 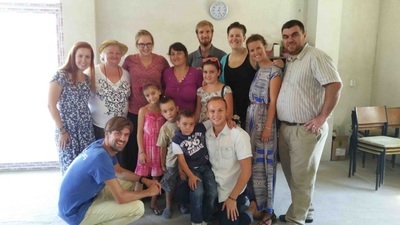 By certain circumstances God spoke to my wife and me to move in Comani, Draganestiului neighborhood of houses, and plant a church. God gave us a vision for Comani. Family : Costea Alexe, Petra Veronica Ioana Judith Miriam, Priscilla, Joshua, Peter Emanuel. Description of the locality: Comani has a population of around 4,000, is also the neighborhood of town houses Drăgănesti olt. It is distinguished by courageous people who have died on duty becoming heroes. Vision: God's vision for Comani is to be full of the knowledge of God and what God gave me is a community of people who know Godand worship Him (baptism, communion, generosity, prayer, etc. ), and impact with the hope of Christ in Comani and to the ends of the earth. Mission: Our mission is to fulfill the spiritual and material needs of the people of Comani. Strategy: Strategy is to be accomplished by people (missionaries) who perform projects (evangelistic or social) and partners to be part of what is performed. Description work: Coordination of Comani team, evangelism, discipleship, cell group, church. Social management, supervision of works: children, women, group prayer. We Kevin & Michelle Weppler, missionaries from Canada, work with GEM (Greater Europe Mission). 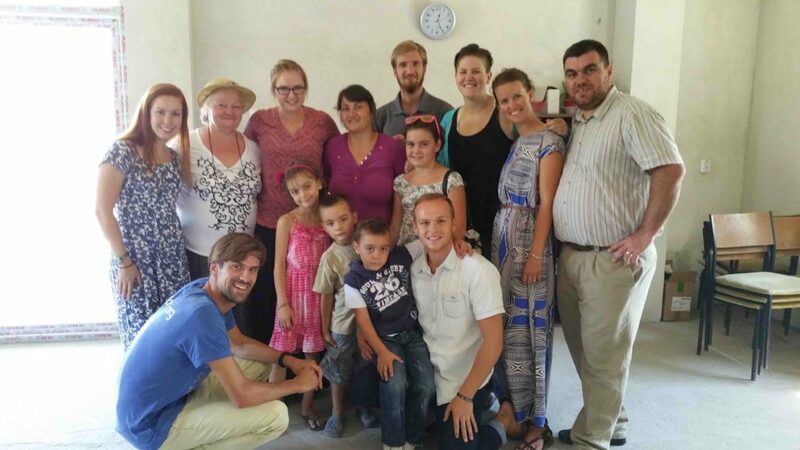 We moved to Romania in 2006 and were integrated in the community. Our desire is to use as many opportunities to serve the community as possible with hard work and prayer. We opened a non-profit, and a second-hand shop in late 2015. With our second-hand shop we have a vision to open a medical center in the near future.